I few weeks ago I started a search for in-ear headphones. I already have the AKG Q 460 – pretty awesome, great features, perfect. Well, perfect if I would like to take them with me all the time. 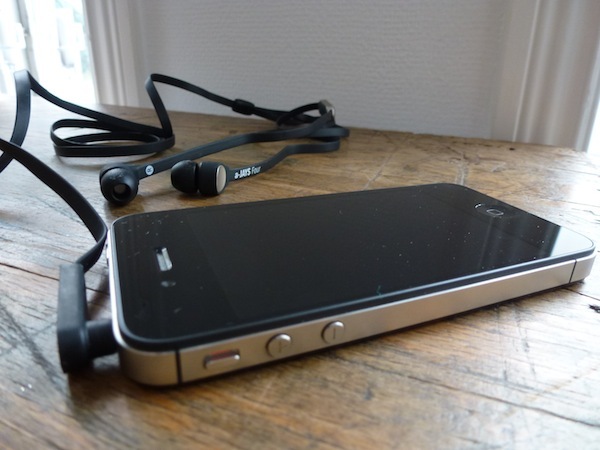 I like walking around with at least stuff as possible (less – minimalism), headphones are basically always with me. But the AKGs are too big to carry around all the time. And I really get sick of the iPhone headphones, they are ok but hurt after one hour and they don’t really stick where they should be when I use them for sport. So, I started my search on twitter. And people recommended a bunch of headphones (and I added some I found myself): AIAIAI, Incase, AKG, Sennheiser, Urbanears, Klipsch, Shure and @krizzgee suggested the a-Jays Four. Well, I couldn’t really decide which one I should take. Most of them were more or less in the same price category. 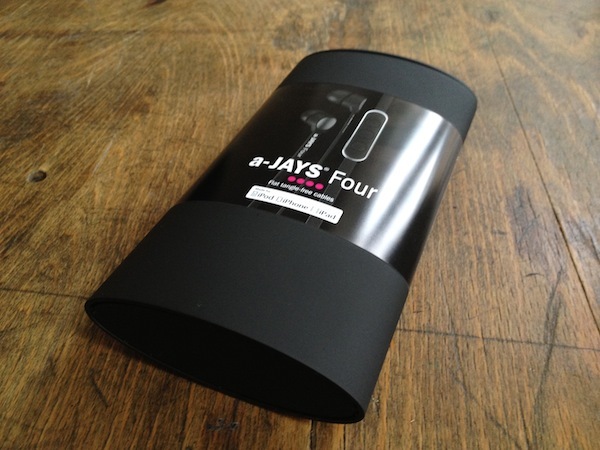 But then Jays offered me to test their a-Jays Four. 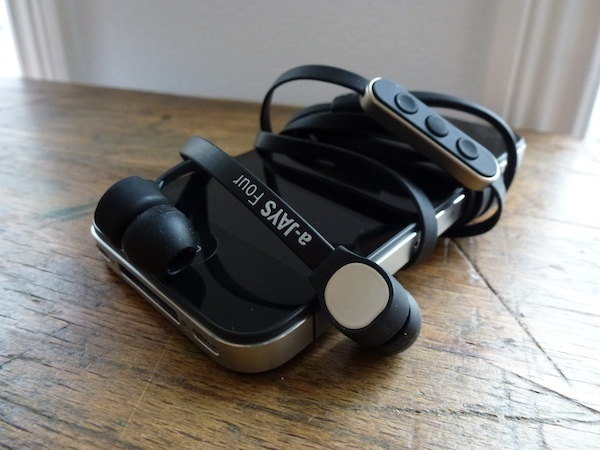 And what can I say: Swedish design, the reviews were really good (just chose one but there are plenty), and headphones for free? I was curious about the flat cable, they call it “tangle-free”. I could not imagine that it really works but it does. I scrunched them up in my pocket and took them out again. You just hold them on one end, the rest falls down in a line and they are ready to use. The remote control is working well. I tested several options and they all worked good. I didn’t use the speech control, I don’t like it. 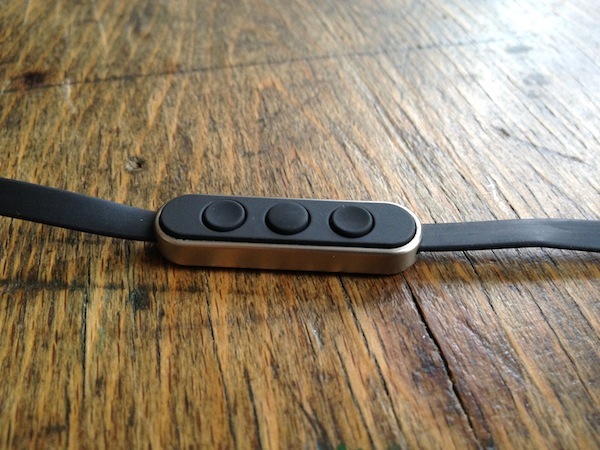 One more great feature is the L-shaped plug. Definitely a good thing, it fits perfectly to the iPhone (in my case 4s). I destroyed the headphone plugin at my 3GS because I bend over the headphone plug in my pants pocket. So, this L-shaped plug is really useful. 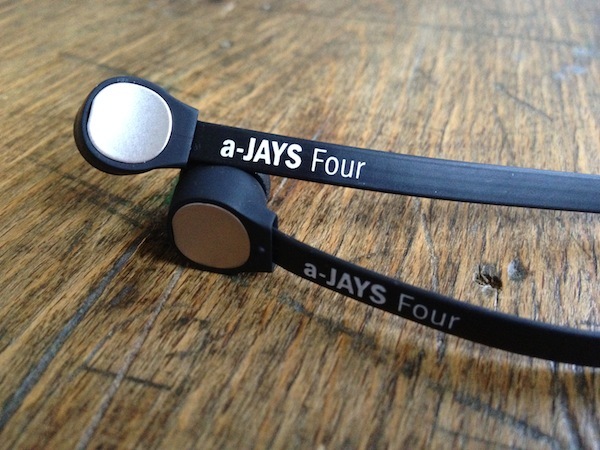 Well, all in all the a-Jays Four are incredible headphones. Especially in that price range. Of course there are better ones. But for that amount of money you get some serious well-crafted in-ears. The sound of the a-Jays Four is perfect. Loud, good deep bass, but still very clear sound, not too roaring. I tested them during running and they fit perfectly. You can customize the fit with the 5 different sizes of sleeves. 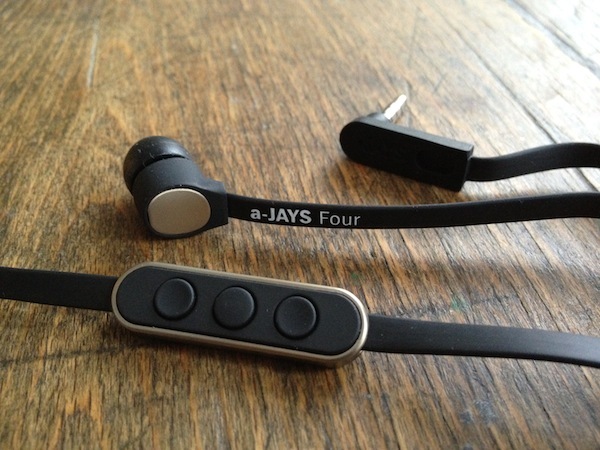 Result: design, sound, usability, price-to-quality quotient – the a-Jays Four are totally recommended! Maybe you are too shy to show yourself but a test run for ear headphones should always show a picture of someone actually wearing them. In this case I could imagine that the flat cable drives one nuts rubbing your cheeks all the time – or is it? The tangle-free cable works indeed and doesn’t bother me at all… and I always smile about people on the train that have to spend like 5 minutes to deknot/unknot/untangle their earphones. I really appreciate your review, but I can’t agree that a-jays for has good bass. I bought them just 3 days ago and received today, and I’m disappointed with the not very good bass. 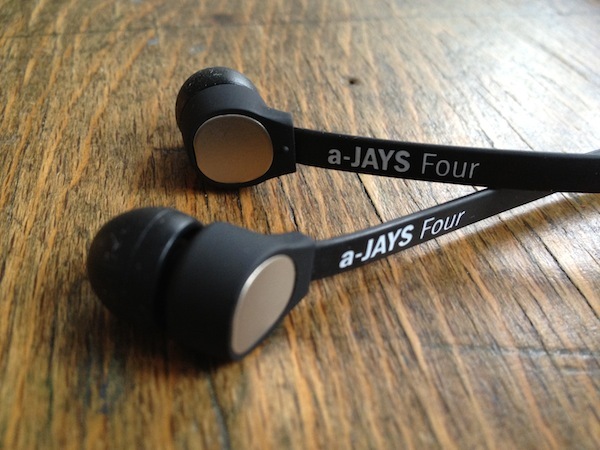 I’ve replaced my iPhone 5 standard earphones with a-jays four and honestly speaking sound of standard iPhone earplugs was much better. 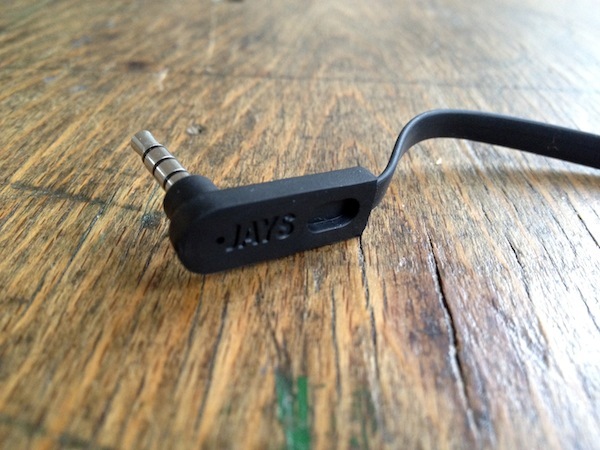 The only good thing of a-jays is that they are not falling from my ears at the gym. I would consider buying different ones if you (reader) are not decided yet.